Meet the next great budget SSD. Intel’s 545s is an affordable yet reasonably fast SSD that finally demotes Samsung’s EVO from the top spot in the consumer space. At $180 for 512GB, the 545s offers all the capacity and cost advantages of TLC NAND plus the sustained write speed of MLC NAND. 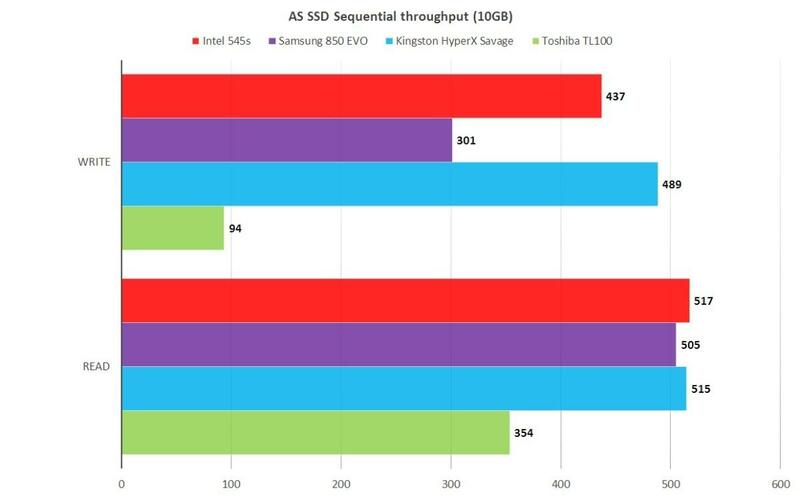 Note: This review is part of our best SSDs roundup. Go there for details about competing products and how we tested them. Our first glimpse of the 545s with its raised edges had us thinking ‘sardine tin’ in a positive way: sleek and shiny. 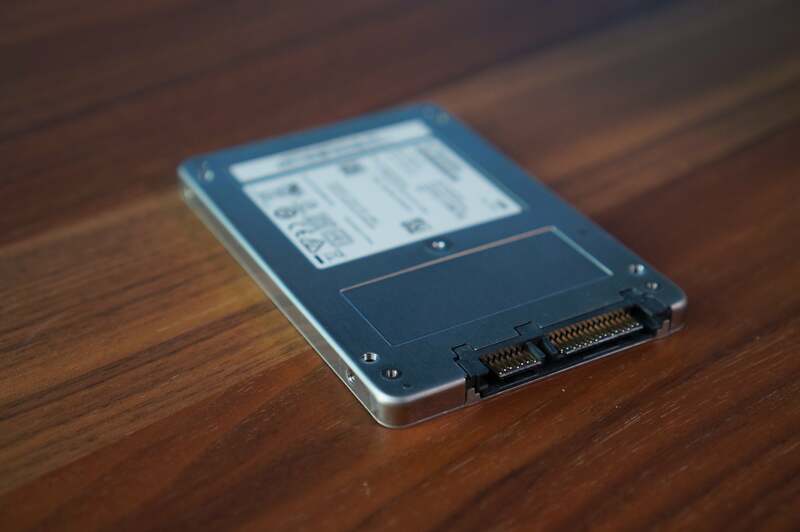 The drive’s 7mm profile appears thinner thanks to the indented upper and lower surfaces. Inside our test unit was a Silicon Motion SM2259 controller and 512GB of Intel’s new 256-gigabit, 64-layer stacked (3D) floating-gate type NAND. Perhaps it’s the gate that’s responsible for the performance—Intel wasn’t saying, and in fact the company didn’’t play up performance as much as it played up the longevity and reliability behind the five-year warranty. Most drives this price are warrantied for only three years. The 288 TBW (TeraBytes Written) rating is also exceptional—the company apparently has a lot of faith in the controller and its NAND. Don’t turn up your nose at the SATA interface just yet. It’s still the most popular way people add storage to a PC. We’ll get to the charts in a second, but the most telling part of the test experience was watching the Windows progress bar/throughput meter during our 20GB single file write test. Unlike with most TLC drives, speeds never dropped, staying the course at an impressive 420MBps to 430MBps. Of course, we entertained the notion that Intel had simply upped the amount of cache, so we tried copying 60GB. Same deal. Even if this is the result of a large or variable amount of TLC NAND being treated as MLC NAND, it still means few users would ever experience a slowdown. Even full Blu-ray (not ultra) movie rips weigh in at only 30GB, and a typical game on Steam is less than that. Hands-on, the 545s was the smoothest, most consistent performer we’ve seen in a while. The OS popped, all types of file operations were silky, and there were no stutters when opening apps. The Samsung EVO is also smooth and consistent, but it drops to around 300MBps writing when it runs out of TLC-as-MLC cache. The EVO, unlike the 545s, does have its RAPID caching software, which can significantly boost everyday performance by using system RAM as cache. We’re not fans of memory caching as it increases the risk of data loss due to power failure, so we’re only mentioning that to ward off comments. By the numbers, the 545s spanked the TLC competition, but Kingston’s HyperX Savage and its MLC NAND led the way. 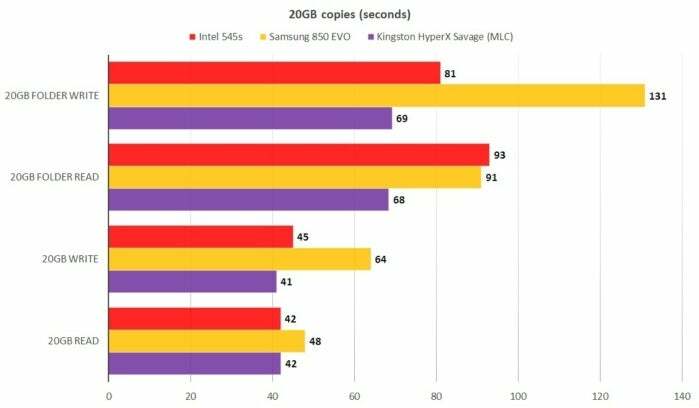 The Intel 545s blew away its Samsung 850 EVO rival and even came respectably close to Kingston’s HyperX Savage—an MLC drive. Note that the Toshiba TL100 in the chart above is included to show just how slow TLC NAND can be. Though it’s not quite a match for the Kingston HyperX Savage and its MLC NAND, overall, the Intel 545s comes close and is by far the fastest TLC SSD we’ve tested. As you can see above, you’re losing very little in performance, even to MLC drives, with the 545s, and at $180, it’s significantly cheaper than the competition. On Amazon the 480GB Kingston HyperX Savage currently sells for around $200, and the 500GB Samsung 850 EVO costs around $220. There will eventually be 256GB, 1TB, and 2TB versions of the 545s, as well as M.2 variants. 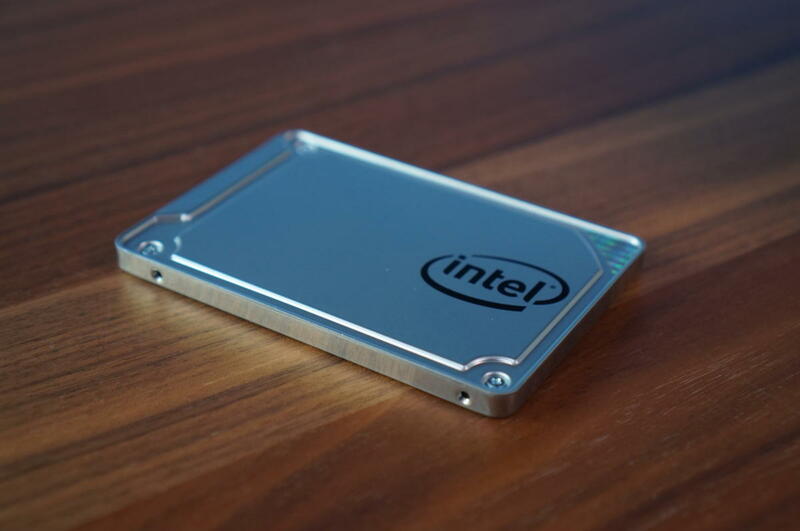 Intel’s 545s is the first TLC SSD we can recommend to consumers without shouting our standard caveat—“Unless of course, you find a similarly-priced MLC drive,” which you quite often can. That warning is due to TLC’s slower sustained write speeds with large data sets. We’re not backing off entirely, but the 545s’s performance comes close enough to that of a fast MLC drive, that we’re just whispering it. Otherwise, given its super-low price, outstanding warranty, and overall good performance—it’s pretty much the SATA SSD you should buy. And absolutely the TLC SATA SSD you should buy. Supplanting the Samsung EVO as the top dog in the low-end SSD market, the Intel 545S is the first bargain TLC drive we've tested that won't invoke buyer's remorse the first time you have to write a lot of data to it. It's not as fast as an MLC drive, but darn close. The 5-year warranty and 288 TBW rating are major perks as well.